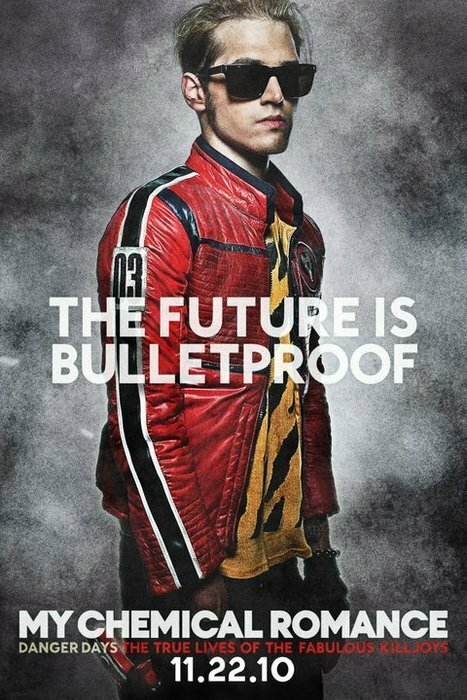 Promotional Poster for 'Danger Days: The True Lives of the Fabulous Killjoys' : Mikey Way. . Wallpaper and background images in the My Chemical Romance club tagged: my chemical romance mcr my chem danger days: the true lives of the fabulous killjoys promotional poster 2010 mikey way the future is bulletproof. This My Chemical Romance photo might contain солнцезащитные очки, темные очки, оттенки, and солнечные очки.